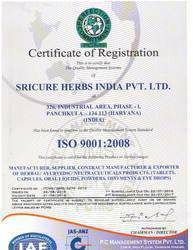 Sricure Herbs (India) has the strictest guidelines and highest quality assurance, providing you with the most effective and biologically active product every time. 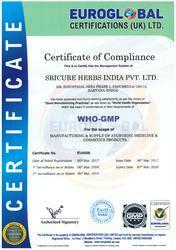 You can trust that Sricure Herbs (India) products are clinically formulated and safety tested. High quality supplements are formulated to allow much higher levels of bio availability than cheaper, mass produced products. Our formulae are science-based and we use sophisticated manufacturing processes. This is one reason why they are relatively costlier and more effective. We consider synergy & interactions, co-factors, nutrient forms, dissolution, absorption, and many other crucial elements in formulation that set professionals apart from the marketers and pseudo-chemists. 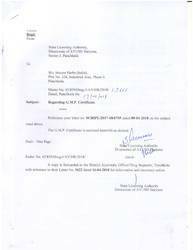 Certification Name: Certificate of Compliance. Certification Type: Certificate of compliance. Our mission is to enrich the patient with required helpful medicinal information and delivering the best herbal and safe remedy for healthy living. We always try to provide our products at a suitable cost, which are well within the reach of a common man. 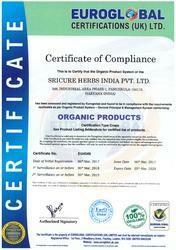 We provide Certified Organic products . We are a WHO compliant company. 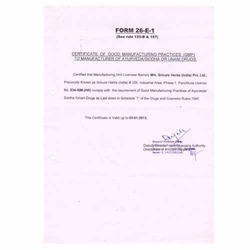 We are a certified ISO 22000:2005 manufacturing. Sricure Herbs (India) provides you with an entire line of products to improve your energy, vitality, health, and life. We have an active research department and is committed to providing you with innovative cost-effective products to enhance & improve your daily life. 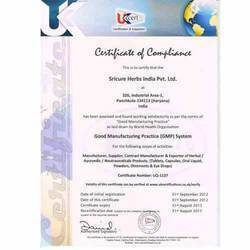 We are a Certified 9001:2008 certified manufacturing company. 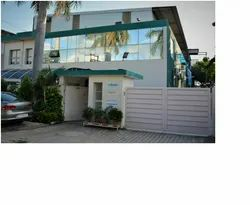 We are pleased to introduce ourselves are one of the leading contract manufacturers and exporters of herbal formulations. 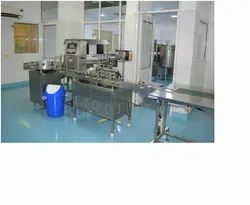 We have our GMP certified state of the art manufacturing Facility at Panchkula, India. 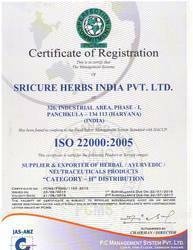 Sricure Herbs (India) Private Limited was established in 2006 with an endeavor to combine the benefits Of the Ancient Ayurvedic Science along With Modern technology. Since then we have experienced a tremendous growth in the demand for herbal formulations, both home and abroad. We have a distribution network Across 18 states in India and are constantly expanding. We are also exporting our herbal formulations to Liberia, Yemen, Ghana, South Africa, Uzbekistan and Philippines. We are in the process of expanding our footsteps to other African and Asian countries. We welcome pharmaceutical companies who want to manufacture their products from us. Contact us on the mentioned Contact Details.